Doguet Diamond D Ranch’s DDD UNFORGETTABLE 150B12 was named “Brangus – Miss World” during the Brangus® Champion of the World presentation by PJ Budler at the World Brangus Congress (WBC) Gala on March 3 in Houston, Texas. The year 2017 marks the fourth edition of the Brangus Champion of the World competition. Judging for the 2017 Brangus Champion of the World competition took place Dec. 1-7 online at BrangusBreeder.net and on the Brangus Breeder Facebook page. A popular vote is considered from online visitors, and designated judges are selected for input as well. The official judges of the 2017 competition were Federico Maisonnave of Paraguay, Johnny Gutierrez of Argentina, Rach Wheeler of Australia, and Jason Cleere of the United States. Bulls from 14 countries are evaluated, and three bull finalists are chosen to represent five continents: Brangus Champion of Asia/Africa, Brangus Champion of North America, and Brangus Champion of South America. The finalists are considered for the overall Champion of the World title for the Brangus breed. Bulls from the U.S. claimed the Brangus Champion of North America title in all four competitions thus far, but a bull from the U.S. has not yet claimed the overall Brangus Champion of the World title. Similarly, females from 14 countries are evaluated, and three female finalists are chosen to represent five continents: Brangus Champion of Asia/Africa, Brangus Champion of North America, and Brangus Champion of South America. The finalists are considered for the overall Miss World title for the Brangus breed. Winners of the Miss World title in 2014 and 2015 were from Argentina, and the Miss World title in 2016 was won by South Africa. 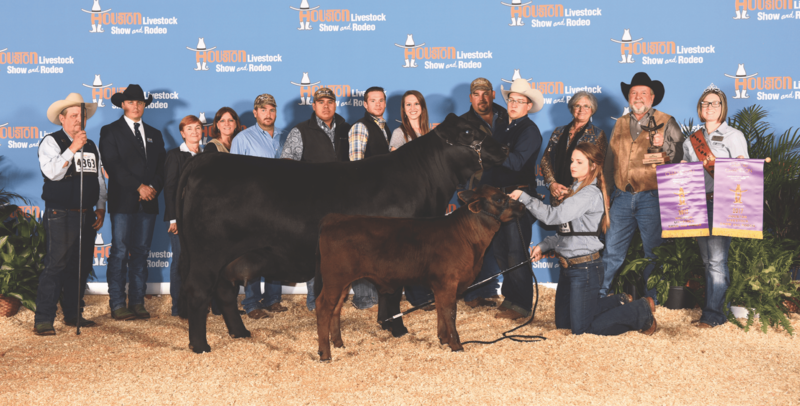 Females from the U.S. claimed the Brangus Champion of North America title in three of the four competitions thus far, but DDD UNFORGETTABLE 150B12 is the first female from the U.S., as well as the first female from North America, to claim the Miss World title. DDD UNFORGETTABLE 150B12 is owned by Mike and Lisa Doguet of Doguet’s Diamond D Ranch in Poteet, Texas. She was the 2017 Miss North America finalist for the 2017 Miss World title before the announcement of her overall win at the WBC Gala. She is sired by DDD MASTERPLAN 1019W10, and her dam is DDD AMBROSIA 150Y10. International Brangus Breeders Association (IBBA) Past-President Robert Vineyard, DDS said the Doguet 150 cow family, which dates back to the beginning of the Brangus breed in the 1970s, is rich in history. DDD UNFORGETTABLE 150B12’s show-history highlights include the following. Mike said he would like to credit Doguet’s Diamond D Ranch Genetics Manager Timmy Lucherk and his family for the breeding decisions they have made within the operation. The WBC event, IBBA, TheCattleMarket.net, Cowtown USA, BrangusBreeder.net, and HLSR were each affiliated with the presentation. For more information about Doguet’s Diamond D Ranch in Poteet, Texas, or its headquarters in Beaumont, Texas, visit DoguetRanch.com.